Now in some cases that may be true. As is true of some lawyers, dentists, sales people and of course, con artists and thieves. So why are people so scared of psychic mediums? I used to be scared of my own awareness and sometimes wondered if I was going nuts or if I had an imbalance of some kind. Thing is, it’s hard to attribute experiences to an imbalance or made-up information if the truth of intuitive hits can be validated. One example of this is a story I often tell my clients, when my old business partner and I went to get partner insurance from a broker who operated out of his house, an old medieval place in Lewis, Sussex, United Kingdom. The minute I went in the door I felt a whole story unfold about the steep back staircase. I suddenly felt like I was a woman being pushed down the stairs by my husband and falling to my death. Certainly not something I was thinking about when I went in for partner insurance! (Or…then again!!). I asked the agent about the house and blurted out what I sensed. He went chalk pale and told me that indeed that incident was recorded about the history of the house. That, in psychic mediumship terms, is what we call ‘validation’. Theresa Caputo – her style is definitely not mine! (Going back awhile) Edgar Cayce (a famous Akashic Records Reader). Yes, it’s true, this is one of the reasons why people go to see a psychic medium, they are grieving and in pain and ultimately, they are hoping for healing and some release from their pain. As we are becoming more astute audiences and social media watchers, I believe we will become more astute spiritual searchers too, and ultimately go to those psychic mediums and intuitives who’s abilities can be validated by personal experience. If you are scared of psychic mediums, why is that? Perhaps you believe that it’s against your religion. Fair enough, then just don’t go. Being vitriolic about others who make different decisions to comfort themselves in their grief is hardly fair, however. And we all need to learn to be responsible for our own decisions in life unless we are too young, or old and infirm. Perhaps you are scared of what you may hear, see or feel. 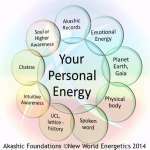 A good psychic medium will be very gentle and be able to impart useful information in a comforting and tasteful way. Sometimes better than some doctors can manage it, sadly! 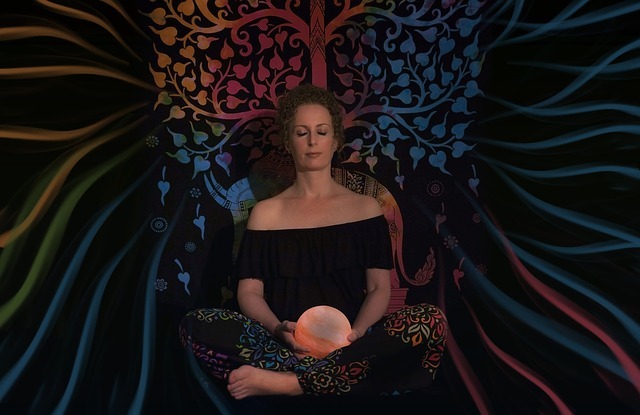 If you do feel anything during a psychic mediumship reading, you may feel body chills, cool air, goose bumps (which is energy moving), or of course, grief. And perhaps your heart opening as you let go of some emotional weight. Now we get to the rub. Grief is awful and painful, and overwhelming and in the West, we have lost touch with how to ‘do’ it. If you were living in some regional parts of India as a 50-year-old, by now you would have seen many people get sick and die, close up. You may have even taken part in preparing a body for cremation, and have seen the cremation happen in a very basic way. In the West, death is much more sanitized and we have a lot less exposure time in our modern lives to death and sickness. During the last 100 years or so this has given us less opportunity to feel, hear and sense the nature of death so that we have slackened and loosened our grieving muscles. Until something happens that we can’t avoid and death is literally staring us in the face. And when it does, we are shocked, scared, horrified and taken down. Not that there is anything wrong with that, it’s perfectly natural. But in our modern Western way, we want the dream and illusion back. The life before we met with death is neat, tidy, sanitized and relatively clean. The old diseases are dead we are told by our vaccinated selves and we are progressing to longer and healthier lives with every generation. Now again, that particular thread is another Akashic story, but let’s get back to the case in point – why ARE people scared of psychic mediums? — if we believe truly in an afterlife or even previous lives, then we may be more accountable for our current actions than we would like to think.